The successor to the popular OPPO F7 is already in the works. The OPPO F9 is coming and it might just have a surprising feature. As naming conventions go, it looks like OPPO skipped a number and went straight to 9. A teaser of the OPPO F9 was released showing the phone’s silhouette. Curiously, it also highlighted a particular feature which was long rumored to come to the brand. Looking at the image, it seems the upcoming handset will have two or more rear cameras. Depending on how you interpret it, the teaser shows a phone with two sensors together on one module, and a possible third one separated on the right (similar to the Huawei P20 Pro‘s setup, only horizontal). As part of the F-series, the phone will also likely be selfie centric, and will carry the monicker Selfie Expert. So we should expect a high megapixel front camera like the 25MP sensor found on the OPPO F7. Aside from the F9, a pro version looks to be on the way as well. It was spotted when the phone cleared Bluetooth certification. According to the source, it shares the same Bluetooth module as the OPPO F7, OPPO F7 Youth, OPPO R15, and the Realme 1. That being the case, the OPPO F9 could come with the same MediaTek Helio P60 processor. And depending on how this plays out, the pro variant could be the one that sports the triple cameras. Anyway, we’ll find out soon enough what OPPO has in store for us. 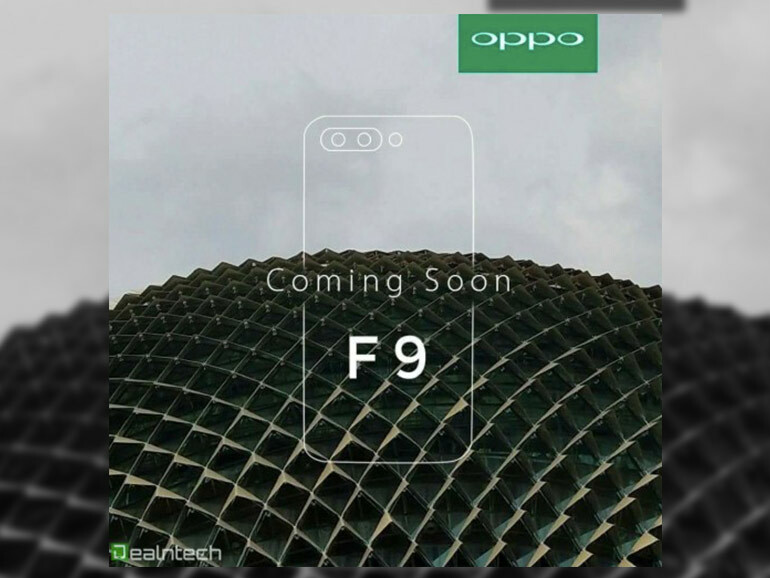 The OPPO F9 is said to launch this August.